Lenovo has come out with a first of its kind layered smartphone which has 3 different layers with 3 different colors depicting each layer which makes it look quite attractive to look at. Lenovo is surely taking the competition by pricing the Vibe X2 competitively at Rs. 19,999 in India which was announced today in Delhi at its launch event. Coming to the design and features of the device it has a three layered design as mentioned above and which can be seen in the images below. Vibe two runs on Android KitKat 4.4 with the Vibe 2.0 UI over it which looks quite good to me atleast. It has a MediaTek MT6595 Octa core processor (has four Cortex A17 and four Cortex A7 chips) and Lenovo terms it to be a True8Core Soc, clocking at 2 GHz PowerVR G600 GPU along with 2GB of RAM. The device sports a 5 inch IPS LCD touch screen with resolution of 1920 x 1080 pixels and weighing at 120 grams and having a thickness of 7.3mm. Vibe X2 comes with 32 GB of inbuilt storage and no option of expanding memory using micSD card support. 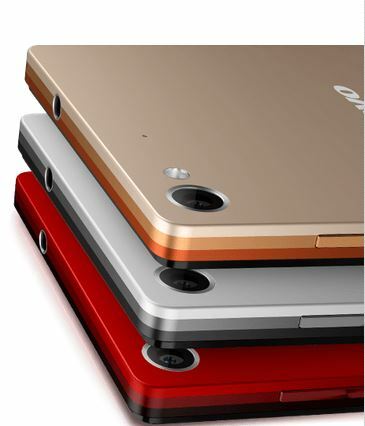 It is a Dual SIM supporting device with one nano and another micro card slots available. The Vibe X2 has a 13MP rear AF camera with LED flash which can shoot FHD videos at 30fps and a 5MP Camera on the front. It supports 4G LTE along with 3G, 2G, Wi-Fi, GPS and Bluetooth 4.0. It comes with a non-removable battery of 2300 mAh capacity which Lenovo says will give a talk time of up to 19 hours. Lenovo Vibe X2 will be available from Nov 10th exclusively on Flipkart at a Price of Rs. 19,999 and according to sources there are going to be some freebies also given away along with the device. Lenovo is going great with it occupying the Third position in overall market around the world just behind Samsung and Apple and with its take over of Motorola helping it bring out more amazing devices into the market.